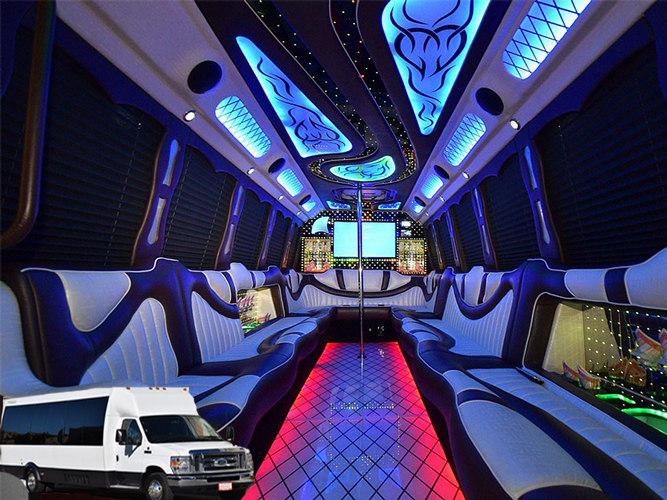 This is the Chicago party bus rental your friends have been talking about. This party bus has an amazing sound system and multiple flat screen TV’s, dual DVD players and a super light show. A party bus is an experience like no other; if you’re looking to create the energy all night long then a party bus is the way to go. Laser Light show and multi colored RGD light show. All dance poles are Re-Movable for weddings and corporate events.